What a lovely vintage cabbage drawing I have to share with you today. It’s from the Manual of Everything for the Garden by Peter Henderson & Co. The manual was published in 1894. It had a nice collection of plants, vegetables and flower images. 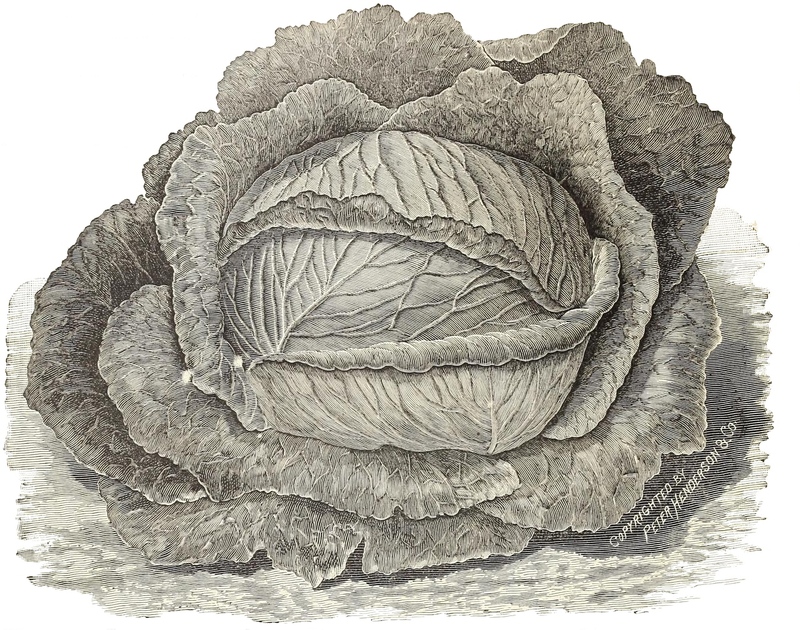 This cabbage drawing looks like an engraving. I’ve cleaned it up a bit and put it one a plain light background. The Succession cabbage was one of Henderson’s own cultivars. It was an early grower and could grow to double the size of other early varieties. What you see here isn’t the largest size of this vintage cabbage drawing that I have. It’s a slightly smaller one. To access the original, just click on the drawing above.